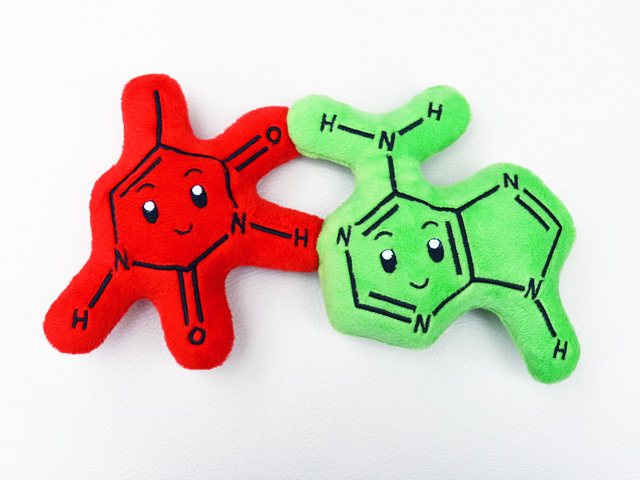 PhD candidate Jun Axup has created a series of plush DNA molecule dolls (that magnetically-interact where they naturally hydrogen bond) called Biochemies as a way to promote science education, “especially to bring more girls into science & technology”. She has launched a campaign on Kickstarter to raise funds for the project. “The best way to capture girls’ attention is plushies!” I said during a car ride in January of this year. Something sparked. Two weeks later, this was made. 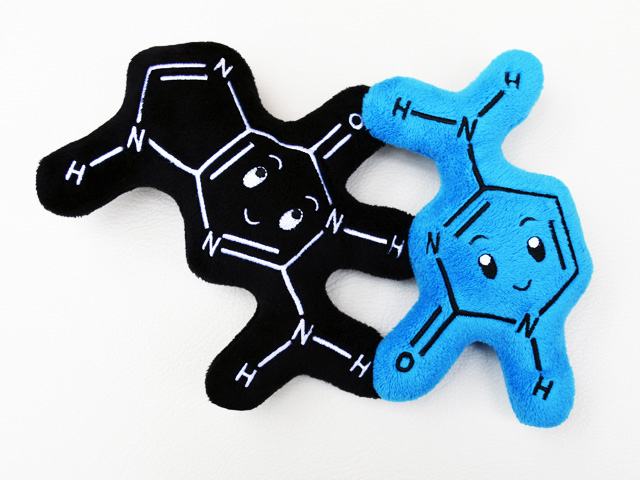 I’ve never sewed anything before, but with a trip to the fabric store and some googling, Bio+chemies is now a plush toy!